Just beautiful, Pat - I love the scallopped edge! Hi Pat I want to thank you for taking time out to leave me such lovely comments on my blog. I really do love these clean and simple cards the image is gorgeous I love the doodled frame a super, super card. Gorgeous hun, love the doodling finishes it off perfectly! Thank you for your lovely comment you left on my blog. Very much appreciated. Your CAS card is beautiful I love the image and your doodling too. 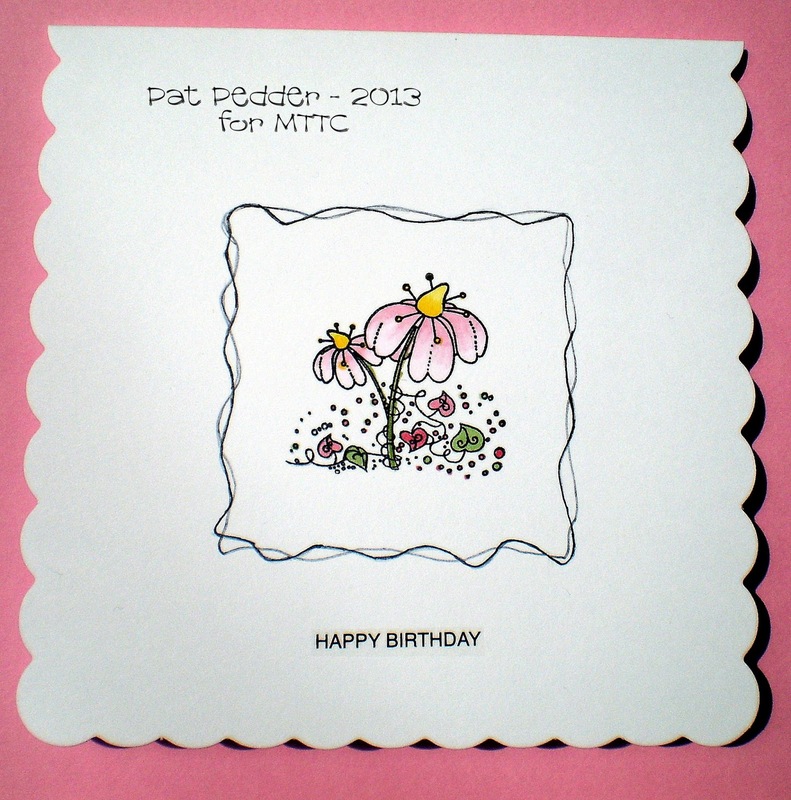 Fab card Pat - love those blooms and the doodling! Pat this is gorgeous, love the image and the doodling really finishes it off. 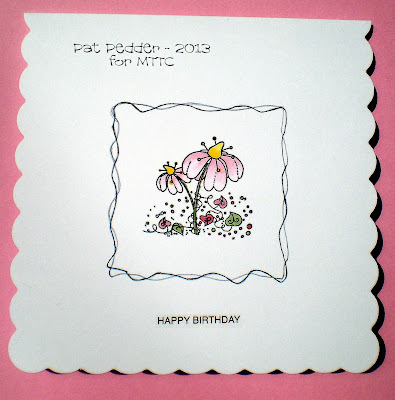 This is so pretty, I love the delicate image and soft colours, and the doodled border sets it off perfectly! I am really behind aren't I Pat - "simply" beautiful!